Have you Googled carpet cleaning Bournemouth? Are your carpets looking a little worse for wear? If so, give Keep Clean a call today on 01202 659796 From a casual spruce up to an intensive deep clean, we use our extensive skills and expertise to provide Bournemouth carpet cleaning that is second-to-none. You can find out more about this below. Here at Keep Clean, our carpet cleaning Bournemouth experts can provide you with an impressive range of services. From general cleaning for domestic and commercial clients to specialist services to remove stubborn stains, no job is too big or small for us to handle. You don’t have to be mad about cats or raising young children for your carpets to fall into a sorry state. Even daily use will, over time, contribute to the gradual build-up of dirt and stains, and accidents will happen no matter how careful you are. If you require domestic carpet cleaning in Bournemouth, don’t waste your time or money on high-street cleaning products. Give Keep Clean a call instead as we clean all carpets regardless of material. Our Bournemouth carpet cleaning will not only help to neutralise bacteria, but they will also keep your carpets smelling fresh and lasting for longer. There are many factors which will contribute to your carpets becoming dirty and bacteria ridden. From a high volume of foot traffic to spillages, if left unchecked, your carpets will not only put off customers but could also directly impact the health of your employees. At Keep Clean, we are the best choice for commercial carpet cleaning Bournemouth has to offer thanks to our tried and tested approach. Whether we’re dealing with a mixed synthetic material, rope, wool, or something else entirely, you can expect exceptional results. 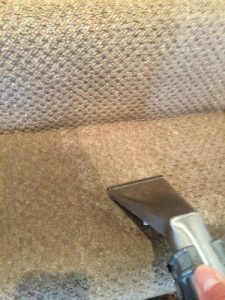 We supply Bournemouth carpet cleaning that doesn’t just clean the surface but also penetrates deeply for an impressive finish. Is that large and unsightly stain getting you down? Are you embarrassed by that persistent odour? At Keep Clean, our carpet cleaning in Bournemouth will get to the root of the problem fast. We boast a wide selection of specialised treatments designed to combat all manner of stubborn stains and foul odours such as urine and blood. A dropped piece of chewing gum that has been trodden into a carpet can be a nightmare to remove. The chewing gum will stick to and become tangled up in the carpet fibres. Attempting to remove it could damage the carpet in the process. Here at Keep Clean, our carpet cleaning Bournemouth professionals use a natural citrus based product that will gently remove the chewing gum without damaging the carpet fibres. In certain industries, a consistently high level of hygiene must be strictly adhered to. At Keep Clean, we use a selection of NHS approved anti-microbial treatments for all manner of properties such as hospitals and clinics. These products can be applied as either a spray, foam or fog and can provide anywhere from weeks to years of protection. Our Bournemouth carpet cleaning provides lasting and on-going active protection and has been accredited with a log kill of 6. If your carpets are regularly cleaned, then this is the service for you. Our bonnet buffing carpet cleaning Bournemouth service is a fantastic alternative to our deep clean system. Not only will your carpets be dry in 30 minutes or less, but the equipment that we use is quiet making this the perfect choice for use during working hours. For more information about our specialist carpet cleaning services, click here. What makes us the best choice for carpet cleaning Bournemouth has seen? As members of The Approved Carpet Cleaners Association, you can expect fair prices and outstanding results from our carpet cleaning Bournemouth specialists. We pay careful attention to detail and will always make every effort to minimise disruption. We offer a same day service for our carpet cleaning in Bournemouth and are always on time. At Keep Clean, we work to your schedule and can provide air movers for fast drying. When you choose us to handle your carpet cleaning in Bournemouth, you can expect your call to be answered promptly. Should any of our lines be busy, we will aim to call you back within minutes – not hours! So, for a friendly and cost-effective service, look no further than Keep Clean. To experience the finest carpet cleaning Bournemouth has to offer, give Keep Clean a call now on 01202 659796.